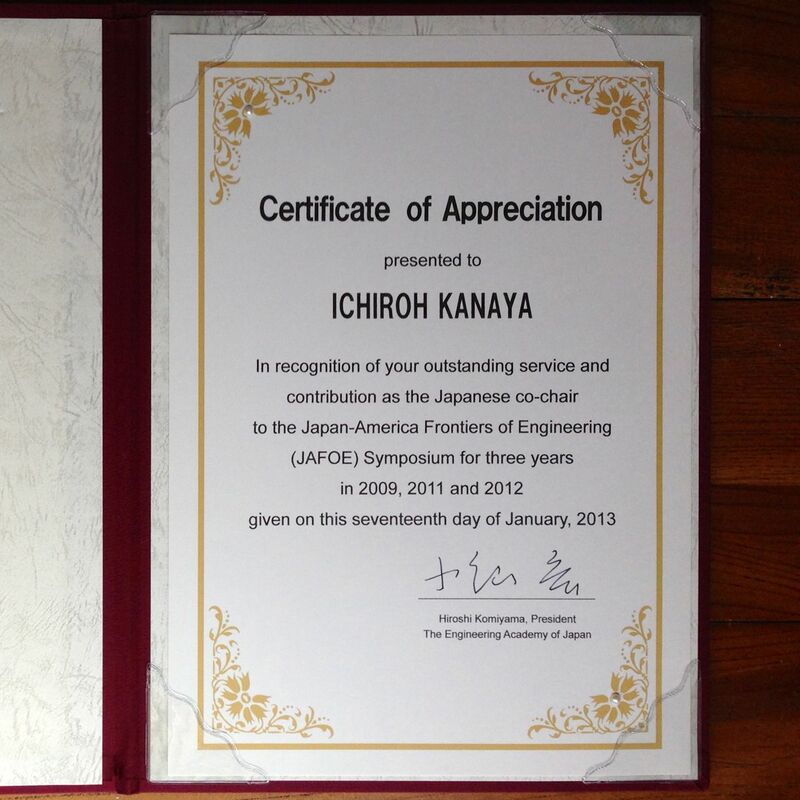 On 17 January 2013, I stepped down from the general co-chair person of Japan-America Frontier of Engineering. I had been involved to JAFOE since 2007, and was at that position from 2009. I couldn't have been happier without such an excellent team. In 2012, as my last JAFOE event, I and Katherine (general co-chair of US side) held a symposium dedicated for Engineering for X in Irvine, California. 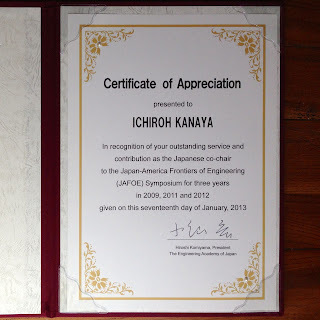 It was one of my dream to have that conference among Japan and US. I'm so proud of every organisers, speakers, general participants, back-office staffs supporting JAFOE. PS. The award is not just mine, but yours.